The Sassy Club SASSY WARS Clear Stamps tscl115 at Simon Says STAMP! Success, The Sassy Club SASSY WARS Clear Stamps tscl115 has been shared! This is a 2 x 6 inch clear stamp set. The Sassy Club stamps are made of high quality photopolymer and are only made in the USA. For reference, the planet measures approximately 1.8 x 1.8 inches. 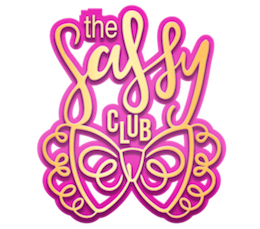 The Sassy Club is a small family owned stamp company from Chandler Arizona that specializes in crafting products clear stamps, dies, washi tape and more that are unique and quirky. The Sassy Club was started in 2015 when Sandra Amelia decided she wanted to turn her art into stamps for planner girls and paper crafters! Their products range from functional planner sets, to one of a kind kawaii characters that are sure to make you smile. The Sassy Club stamps are all made in the U.S.A and are the highest quality photopolymer because they pride themselves on creating the best possible products for their customers.